Russian Talmudist and rabbi of Deliatitz; flourished at the beginning of the nineteenth century. He wrote: (1) "Shene Eliyahu" (The Years of Elijah), notes on the comments of Elijah Wilna on the Abot de-Rabbi Nathan; (2) "Ben Abraham" (The Son of Abraham), a concordance of the parallel passages in the Abot, with explanations (Wilna, 1833). 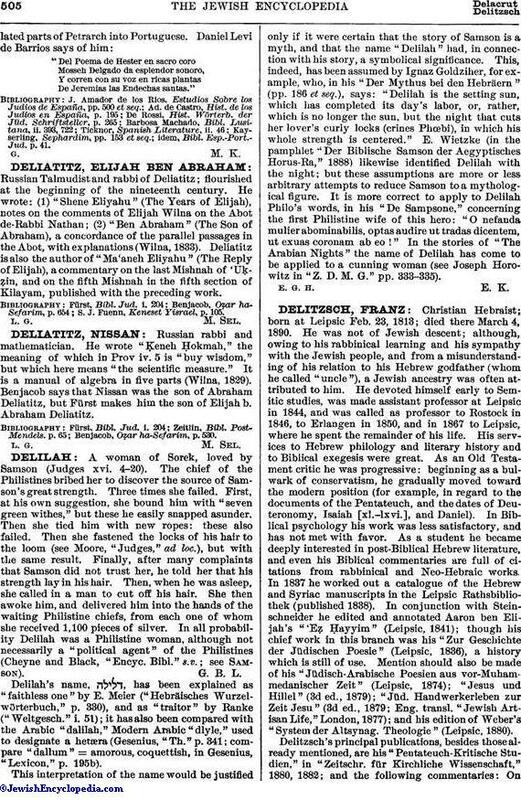 Deliatitz is also the author of "Ma'aneh Eliyahu" (The Reply of Elijah), a commentary on the last Mishnah of 'Uḳẓin, and on the fifth Mishnah in the fifth section of Kilayam, published with the preceding work. S. J. Fuenn, Keneset Yisrael, p. 105.